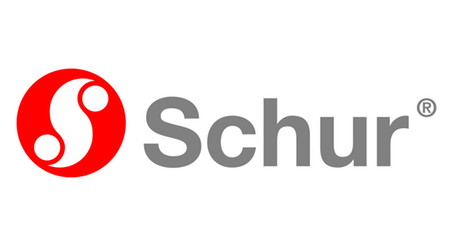 Schur is an international group consisting of 15 companies offering packaging, packaging machines, packaging systems, and knowhow. Schur has a staff of approx. 850 persons employed at factories in Denmark, Sweden, Germany, France, Australia and the USA. For 172 years the Schur family has been at the head of the company and the sixth generation is now on the way. Founded on 2 June 1846 by Johan Wilhelm Schur, the company is one of Denmark's oldest, and probably the oldest packaging business in the world run on family lines. In Schur innovation and tradition goes hand in hand. At Schur we do not have at the moment systematic way to track when and what repair work was done for the manufacturing machinery and plan in advance timely maintenance work. This puts manufacturing processes under higher risk due to unexpected breakages. The fact that internal and external technicians are used for maintenance work further increases the risk for human error. The other significant part of maintenance work is spare parts handling. Parts need to be available in stock for replacement. However, delicate balance between available parts and overcrowded warehouse needs to be found. Full maintenance system should take into account optimal number of parts in the warehouse, have a process to purchase new parts once it is used and plan in advance any further requirements. •	Observe current manufacturing and maintenance processes. •	Based on literature review and best practices in the industry, develop systematic method/processes for conducting maintenance work from A to Z. •	Through change management perspective, suggest ways to implement the system without internal resistance. Note: It is also expected for students to suggest software tool to be used that fits best with recommendations. For this project we seek for a student or group of students within Master or Bachelor studies of relevant Machine Engineering, Engineering Management, Operations, Manufacturing or similar studies. Any previous exposure or experience working with IT systems, IT system requirements or implementation would be regarded as a bonus. Strong analytical and communication skills, curiosity and independent thinking are essential for this project as you will need to observe processes, interview people and see the big picture. We expect you also to be self-driven and autonomous person, taking full responsibility for the project and leading it. You will have an office space at Schur HQ in Horsens. All the expenses related to traveling for the project will be covered.